Accessible entrance is via a ramp located on the east side of the building. New Hazlett Theater was built in 1889 as the first Carnegie Music Hall and was dedicated by President Benjamin Harrison. It was designed in a Richardson Romanesque style by John Smithmeyer and Paul Pelz, best known as the architects of the Library of Congress in D.C. The larger structure of which it is a part housed one of the first Carnegie libraries. Tours every 15 minutes, including the lobby, rehearsal room, stage and backstage areas. The Hazlett Theater was built in 1889 as the Carnegie Music Hall and was dedicated by President Benjamin Harrison. The Theater is part of a historic landmark that also originally housed one of the first Carnegie Free Libraries in the country. In 1967, community activism prevented the demolition of the building and funds were secured for a renovation of the theater space. The Hazlett Theater was re-named in honor of Mr. Theodore L. Hazlett Jr., a prominent civic leader who worked with Mayor David Lawrence, authored much of the city’s smog legislation, and was an enthusiastic supporter of the arts. The Hazlett Theater was home to the Pittsburgh Public Theater for 24 seasons, from 1974 until 1999, when it moved to the O’Reilly Theater in the Cultural District. 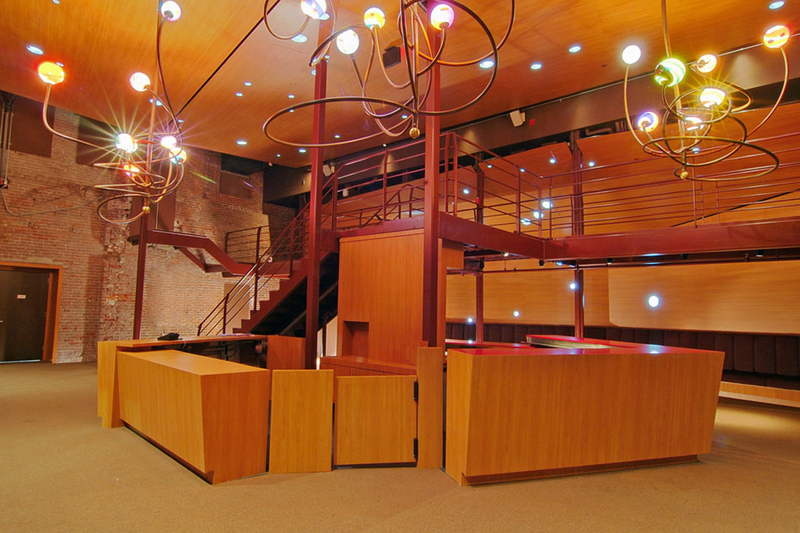 The New Hazlett Theater was relaunched in September 2006 as a multi-use performing arts space. Arts presenters, producers and individual artists rent the space for a range of creative work, including dance, music, theater, family programming, spoken word performances, and cutting-edge performance art events. In addition, the Theater curates and presents its own subscription series of emerging artists, the Community Supported Art (CSA) Performance Series, hosts periodic artists-in-residence and serves as the location for a range of community events.